HAM Meets Rebecca Schoenfelder Who Runs The IWA OutdoorClassics Show. HAM Meets Rebecca Schoenfelder, The Lady Who Runs IWA OutdoorClassics. 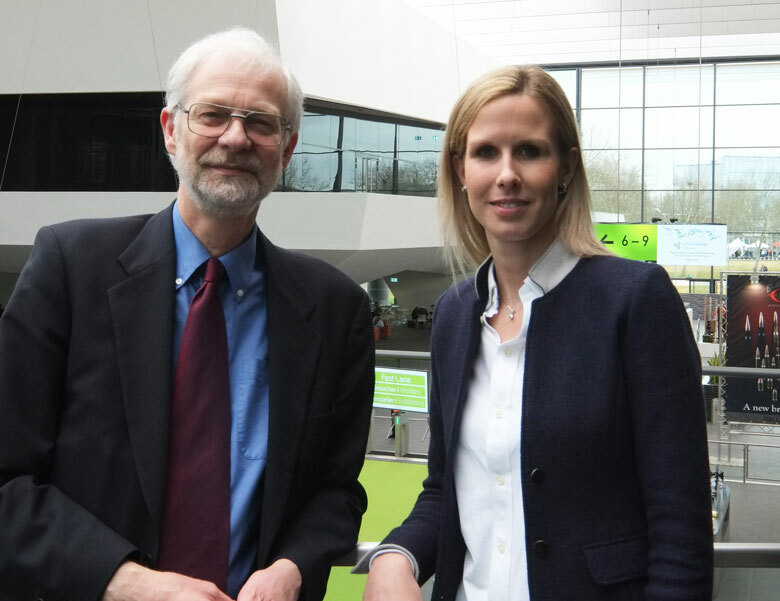 It was a pleasure for me to meet Rebecca Schoenfelder, the lady who has taken over responsibility for running the IWA OutdoorClassics exhibition in Nuremberg from this year. The IWA show is one of the many trade shows which are held at this purpose-built exhibition site during the year by the NuernbergMesse organization. 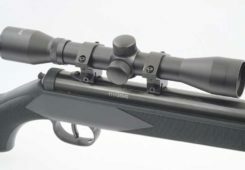 IWA OutdoorClassics is, without doubt, the premier international exhibition for the airgun business. 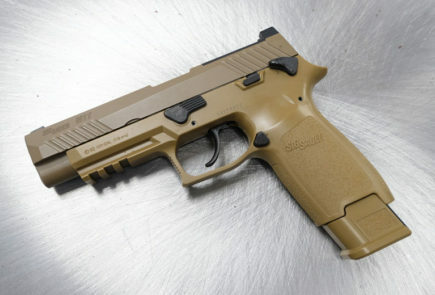 Sure, there’s a good quantity of airguns exhibited at the SHOT Show, but they are predominantly from US manufacturers. 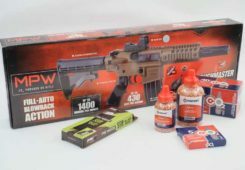 The rest of the airgun world makes IWA their focus. 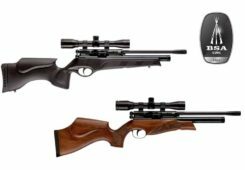 There’s a great deal of airgun interest there, including many manufacturers that are almost completely unknown in the USA. 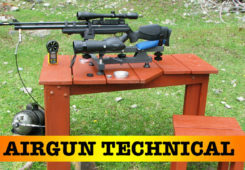 In total, there’s much more airgun interest at IWA than there is at the SHOT Show! You can see this in my many HAM reports from IWA OutdoorClassics in the past. 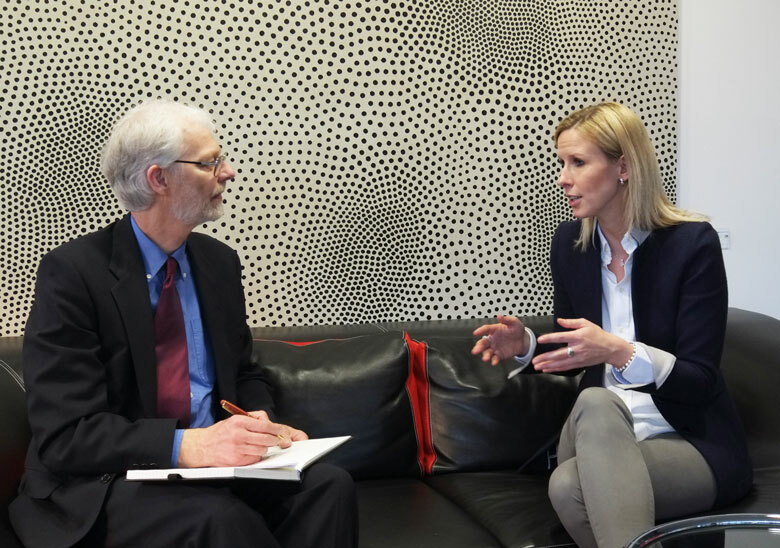 Thanks to Guido Welk, Executive Director of Public relations, NuernbergMesse, for taking the interview photographs! 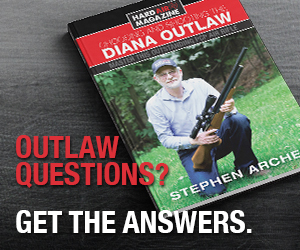 Hard Air Magazine: Rebecca, thanks for taking the time to meet me! I know that NuernbergMesse is running major trade shows all year. How important is IWA OutdoorClassics in terms or size and attendees compared to the others? Rebecca Schoenfelder: Stephen, it’s great to meet you for the first time, welcome back to IWA OutdoorClassics again! In fact, the IWA show is one of the top five exhibitions we run throughout the year. In 2018, we expect to have about 45,000 visitors. And IWA OutdoorClassics is the second most popular show we have for international visitors, throughout the year. 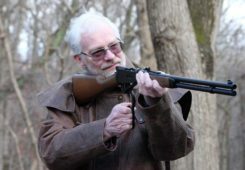 Hard Air Magazine: How important are airguns and associated products to IWA OutdoorClassics? Rebecca Schoenfelder: Airguns are a very important part of this show. 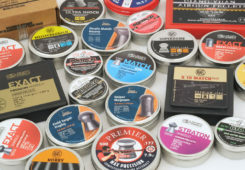 We have many airgun-related exhibitors – as you know. 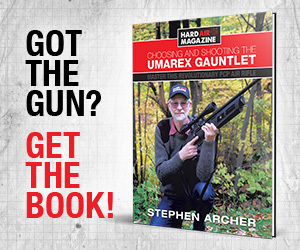 This is partly because airguns are simple and easy for exhibitors to display. 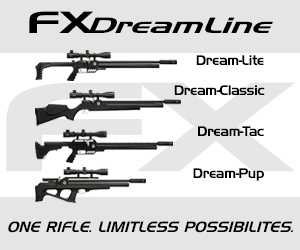 There are very few restrictions or regulations for airgun companies to show their products here. 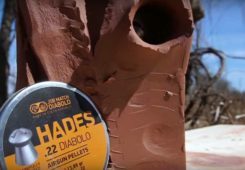 Hard Air Magazine: How many airgun-related exhibitors are there here at IWA OutdoorClassics 2018? Rebecca Schoenfelder: We have a total of 122 exhibitors of airguns and related products this year. They occupy a total of about 8,000 Square Meters of floor space. As you know, these companies are spread out around the exhibition. But if they were all gathered together in one hall, that would constitute a significant exhibition in its own right! 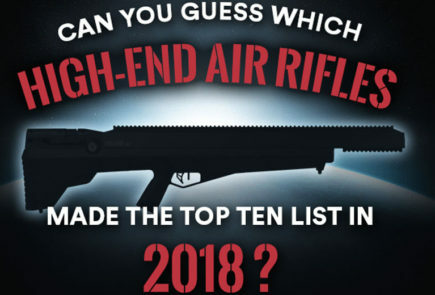 Hard Air Magazine: Wow, that’s a huge amount of space dedicated to airguns! Rebecca Schoenfelder: Yes, these exhibitors come from all around the world to attend IWA. 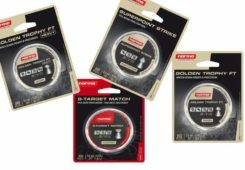 And the number of companies with airgun-related products is increasing steadily. For example, we had 119 in 2016, compared to 122 this year. 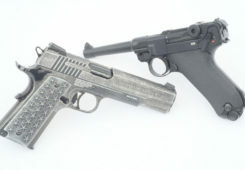 Hard Air Magazine: Rebecca, how do you compare IWA OutdoorClassics with the SHOT Show? Rebecca Schoenfelder: Both IWA and the SHOT Show are highly-successful trade exhibitions that have run successfully for many years. 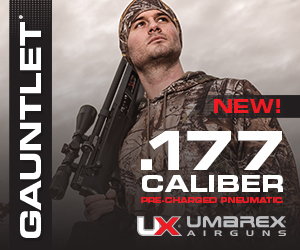 IWA has a slightly lower attendance than the SHOT Show – around 45,000 compared to 60,000+ each year. However, the SHOT Show has a very large law enforcement and military element. IWA has a dedicated focus on hunting and sports shooting because we have a separate law enforcement and military show – EnforceTAC – which takes place for two days before IWA. And, as we said before, the NuernbergMesse site continues to grow in size. We have added a complete new exhibition hall – Hall 8 – this year. This means that new exhibitors are welcomed. 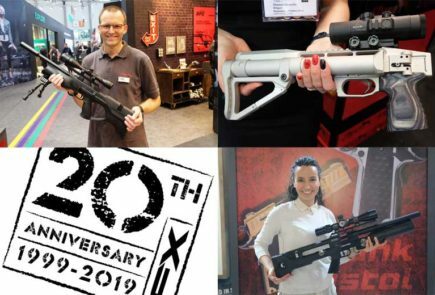 If airgun companies reading this story want to join us at IWA OutdoorClassics 2019 for the first time, we have the space and they can become exhibitors immediately next year! 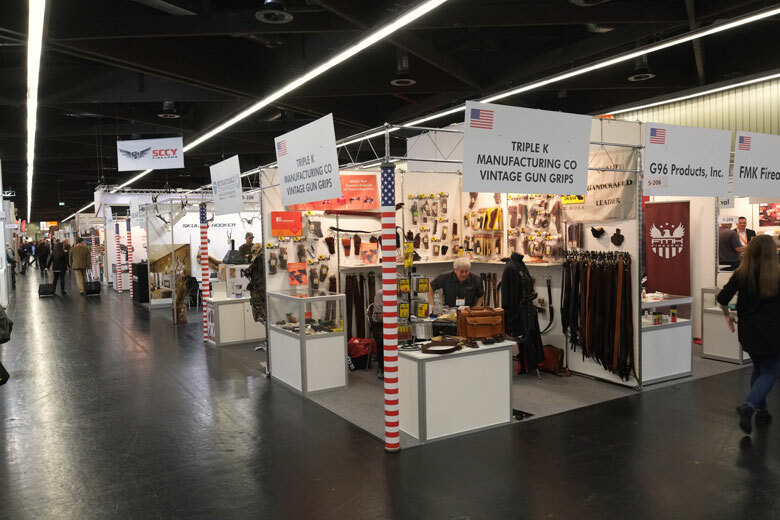 Hard Air Magazine: How many US companies – of all types – exhibit at IWA OutdoorClassics? Rebecca Schoenfelder: We have a total of 225 US-based companies exhibiting at IWA in 2018. Again, that number continues to increase steadily, year-on-year. In fact, there’s actually a dedicated US Pavillion in Halls 5 and 9. 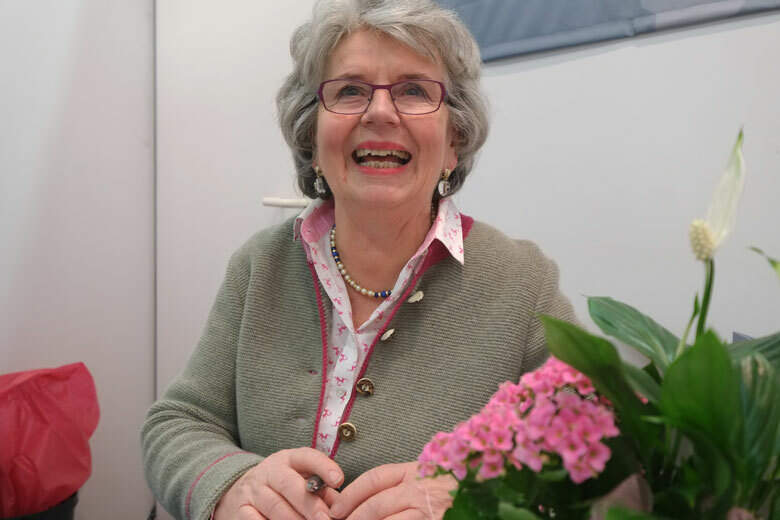 This is a long-standing arrangement and, for the last 20 years, Mrs Frommel – “Illi” to all her friends and exhibitors (above) has been a key US Pavillion organizer. Illi helps our US exhibitors in a million ways every year, making it easier for them to participate in IWA OutdoorClassics. The US Pavillion at IWA has a dedicated exhibitor lounge – even serving US food favorites- and is ideal for smaller exhibitors to be part of the show. Hard Air Magazine: Also I believe that NurenbergMesse has a dedicated US office in Atlanta. Is that correct? Rebecca Schoenfelder: Stephen, you’re right. Our US office has been running for 10 years. It’s particularly important for IWA OutdoorClassics because IWA has more attendees and exhibitors from the USA than any of our other shows. NuernbergMesse USA is staffed by local US employees. 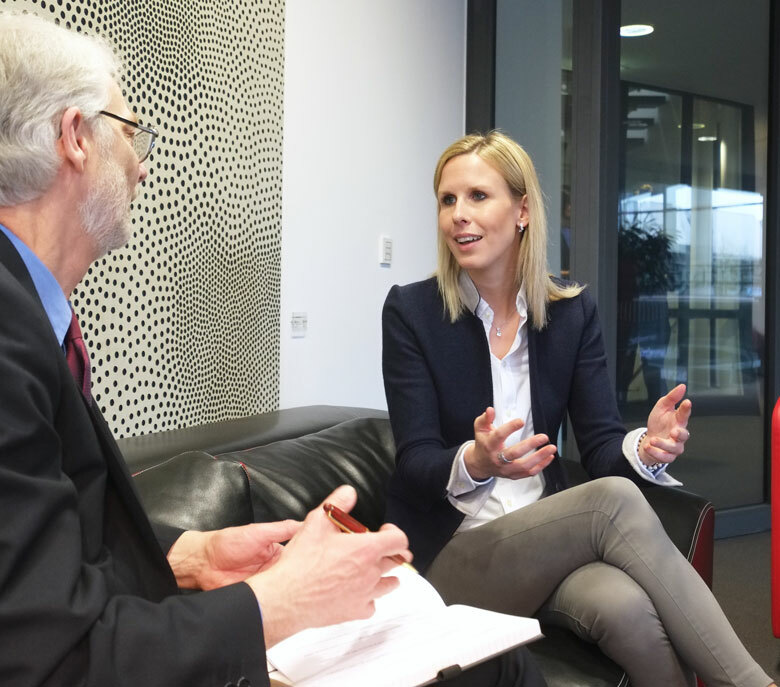 This means that they understand both US and German laws and regulations – a very important point! They can help with all sorts of logistical issues – like freight forwarding companies, for example. And, of course, because they’re in Atlanta, there’s no issue with time difference, compared to if US companies had to contact Germany for everything. Below. You know you’re in the US Pavilion by the stars and stripes on the booth uprights! Hard Air Magazine: Rebecca, thanks for all this information! I’ve ben attending IWA OutdoorClassics for several years, but you’ve told me much that I didn’t know about the show. 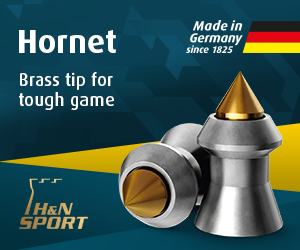 I’m sure there’s several more airgun companies that will be inspired to attend IWA 2019 now that they know more about your show. Thanks for running such a great event. I’ll see you again at IWA OutdoorClassics 2019. In fact, I’ve already reserved my hotel room for next year! Rebecca Schoenfelder: Stephen, thanks for highlighting IWA in Hard Air Magazine. 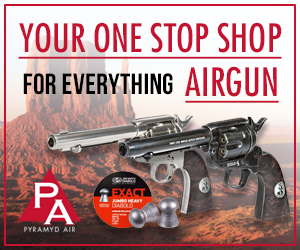 I look forward to seeing you again in 2019, together with all our exhibitors and attendees who are involved with airguns!